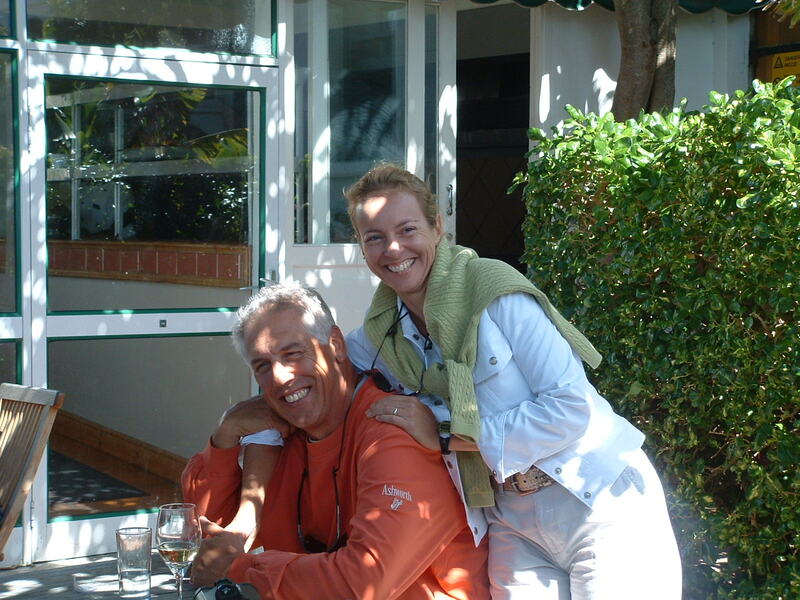 If you are planning a golf vacation in Costa Rica, I can guarantee you from personal experience your best bet to go back home raving about one of the most memorable trips you’ve ever experienced is to let Landy and Susan Blank with Costa Rica Golf Adventures (www.golfcr.com), a one-stop shop for tourists, handle all the details. The Blanks are among the growing number of gringos who grew so attached to this Central America country during visits during the early 1990s that they pulled up roots and relocated. Learning that several new golf courses were being planned, the Blanks believed there was a market for starting the tour business and expanded it to include operating the golf shops at the Carari Country Club and the Costa Rica Country Club in the San Jose area and becoming a distributor for supplying other shops in Costa Rica with golf products. With all their connections, they stay current with all situations that might affect your golfing experience like when tournaments are being held or when the greens are being aerified. A good example is that Blank does not recommend coming in September or October due to the possibility of heavy rains. He also suggests to clients that they consider using transfers rather than driving themselves so they can enjoy their holidays. I first met Blank at a conference for publishers of golf magazines at the Robert Trent Jones II golf course at what then was the Melia Playa Conchal in the fall of 1997, never realizing that five months later I would accept a position at the facility as the director of golf. I saw with my own eyes how the Blanks grew their business. He was a big help as I strived to get the word out to all my contacts in the media about finding a hidden gem of a golf destination. When I had to fly back to Texas after surgery, he managed to get me upgraded to first class through connections with Continental Airlines. On a recent visit after not being able to get back to Costa Rica in 12 years, my wife Betty and I got a chance to catch up with the Blanks, staying at their home near the Cariari Country Club for two nights. Landy picked us up at the airport and we played Carari the next morning and after lunch spent a leisurely afternoon with the Blanks. Betty liked sitting in their garden area, reading her book and I caught up with emails. Landy shared the exciting news that Costa Rica had been named as the 2014 Golf Destination of the Year for Latin America and the Caribbean by the International Association of Golf Tour Operators. “The combination of new golf courses, year-round climate and the natural beauty of Costa Rica makes it perfect for golfers seeking a new adventure,” he said. Landy made arrangements for a rental car to be delivered to his home the next morning and we followed the Blanks out of their neighborhood to the main highway and followed Susan’s directions to get to the new highway to Jaco without any trouble. We had no problems the next day driving up to Guanacaste, taking the new bridge that cuts 30 minutes off previous trips when we lived down there. We visited Hacienda Pinilla and the J.W. Marriott, Reserva Conchal and the Westin Reserva and the Four Seasons before returning home from what was a lot larger airport in Liberia. See my reviews posted earlier at www,jamesamcafee.com. It appears I will get chance to go back to Costa Rica as the tournament director for the Pairs in Paradise Golf Tournament, scheduled July 18-25. Blank is the travel coordinator. Plans call for arriving at Liberia on July 18 and over nighting at the nearby Hilton Garden Inn so that participants can play the Four Seasons golf course en route to the Westin Playa Conchal, now all-inclusive with meals, beverages and alcohol included. There will be a 36-hole competition for pairs at the Reserva Conchal course where I spent 30 months 1998-2000. When asked, I still tell people that it’s my favorite course. All transfers will be included. Blank will also have some optional tours available. For buddy trips where the guys want to mix golf with exciting night life options, Blank recommends combining Cariari C.C. or Valle del Sol with the La Iguana Golf Course at the Los Suenos Marriott Ocean & Golf Resort. La Iguana is a very scenic 90-minute drive to the beach in Jaco, which also has plenty of nightlife that rivals that of the capital city of San Jose. For others wanting to mix golf with some of the other activities available in Costa Rica, Blank likes to have them play Cariari C.C. or Valle del Sol and then spend two days in the La Fortuna area around the Arenal Volcano. Blank recommends a number of properties, including The Springs Resort. “It’s a beautiful property with lots of activities, including hot springs, tubing, horseback riding, kayaking and wonderful hikes,” Blank said. Many Americans have seen it on the television show, The Bachelor. Then they can continue to Guanacaste and have three more outstanding courses—Four Seasons, Reserva Conchal and Hacienda Pinilla–to play, returning home from the airport in Liberia. The Blanks also organize golf trips all over the world for Costa Rica golfers. So if planning a trip to Costa Rica, consider signing up for the Pairs in Paradise or arrange your own trip by going to www.golfcr.com and allowing the Blanks to give you a helping hand.